Offering a complete range of services, we pride ourselves on delivering projects on time and to budget. 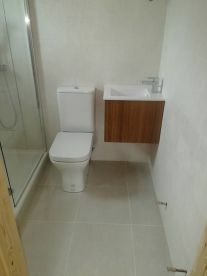 Our skills also mean we can create bespoke bathroom and wet room solutions to meet your needs. So, whether you’re looking to design, restore, or renovate, our team have the vision and experience to find a resolution to suit your budget and timescale. 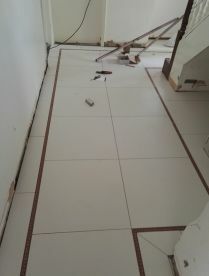 Our services include the following: professional wall tiling, floor tiling, bathroom tiling, kitchen tiling and more. 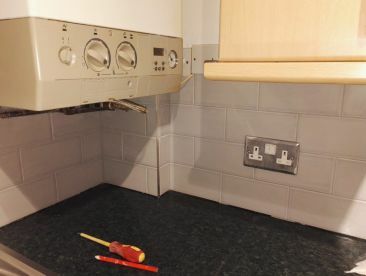 We can source and provide the tiles and the materials required; we can remove existing tiles and can prepare surfaces; we can tile using materials that you choose; we also offer sealing, tanking and floor strengthening. There isn’t a job we can’t handle so you can have the utmost faith in us. What are you waiting for? Get in touch and we’ll get to work for you. 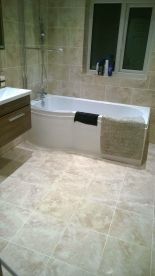 Located in Derby, at Absolute Tiling Solutions, we offer the complete tiling installations as you require. We cover all materials, including mosaic and natural stone. A great work ethic lies at the heart of our company and we certainly have high standards that we keep to. For all your tiling needs you can get in touch with us via phone or email. We’ll be happy to help you out. 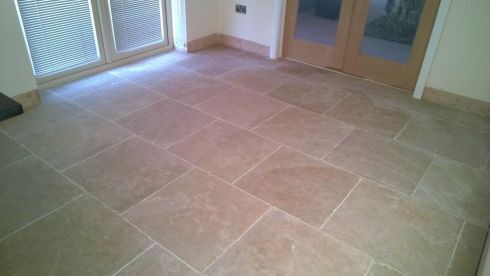 Please note that Absolute Tiling Solutions may not be able to honour booking requests made.